I’m Ed Smith, a personal injury lawyer in Berkeley California. First, I’d like to thank you for visiting my website and my Berkeley page. Secondly, I want to say upfront that I am pleased to be handling large, personal injury cases in the city and in Alameda County. Berkeley has long been known as a center of education and fairness in California from the 1870s. This belief in knowledge is something I love about the law. Making sure that clients not only receive the compensation they deserve but also demand justice when negligence causes them harm is at the heart of my practice. Berkeley is a city of spirit and the arts. Its genetic code has at its core diversity and freedom of speech. It is and always has been a city where fairness is prized. Berkeley lies on the eastern shore of San Francisco Bay, bordering Oakland and Emeryville to the south. 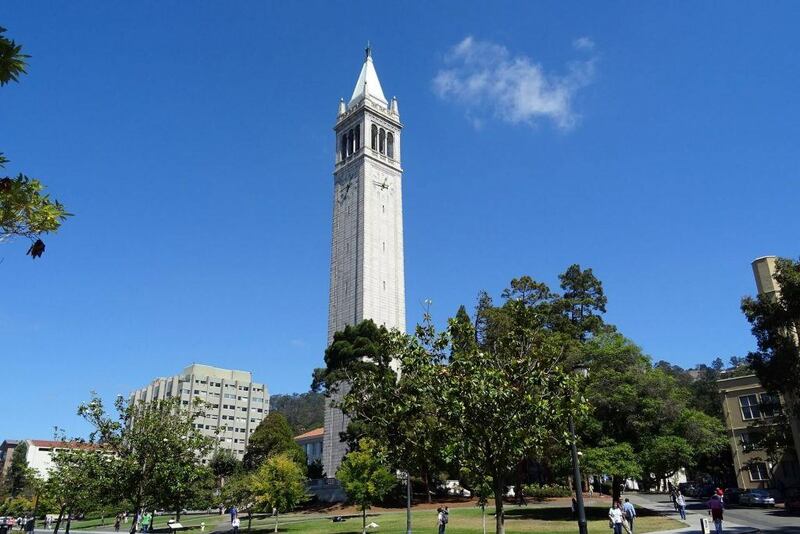 The Berkeley campus was the first to be established in the UC system. Berkeley’s population in 2015 was estimated at 120,971 up from 116,768 in 2013. In addition, most accidents occur during daylight hours on weekdays. One intersection that is particularly dangerous is at Gilman Street’s western end. This street runs through an area where eight lanes enter and exit Interstate 80. In addition, the Bay Trail, west of the intersection, is often populated with pedestrians and bicyclists. Population increases come with downsides such as higher numbers of significant car, truck, motorcycle, and pedestrian accidents. While I handle many different types of personal injury cases, my emphasis is on large, complex cases. However, no matter how large an incident is, it can cause significant suffering for those involved. If you are unsure about your case, give us a call. We can review the circumstances and direct you to a competent local lawyer if it is not something we handle. I come from the borough of Brooklyn in New York City. People in Brooklyn are known to tell it like it is and fight for what they believe. I grew up there, moving to California after I served in the Air Force during the Vietnam War. I attended the University of California at Davis and graduated with honors. The law beckoned, and I graduated from McGeorge School of Law at the University of the Pacific. Shortly afterward, I established my own personal injury law firm. This was the beginning of a career that has spanned 35 years. I’ve been privileged to get to know some amazing clients, helping them move on after an accident. I was married in 1978 and am the proud father of a son. I have a grandson too. I work hard but do get some time to relax. I enjoy hiking, and the area around Tahoe offers excellent hiking trails. Snorkeling is also a favorite pastime. If I cannot get away, I take time to listen to music, usually rock or blues. Or, I just settle in with a good book. I believe that clients are so much more than a case filled with details. My staff and I get to know them and their families. We empathize with the pain they feel as well as the sense that their lives are upended. That is why we are there for them 24/7. We are available to answer their questions and explain where we are in the case. In personal injury cases, many decisions need to be made. For example, clients may be offered a lump sum to settle the case. Sometimes, the offer is legitimate, but often, the offer made by a defendant’s attorney or an insurance company is too low. At this point, negotiation may be fruitful. However, at other times, it is necessary to file a lawsuit against the negligent party. While many injuries are clearly seen from the moment the accident happens, others take time to manifest themselves. Treatment may not be successful or may take longer than expected. While going through extended treatment is hard enough, the expense can be overwhelming. If the case is settled before the extent of an injury and the length and success of treatment are known, the settlement amount may fall far short. That is why I often advise clients to wait to settle on an offer or proceed to court. The sad fact is, once an offer is accepted, the client signs a waiver saying that no further litigation in the case is possible. There are times when you can move forward quickly and times when it is better to have the entire picture in front of you. The key is knowing the difference. The one thing all personal injury cases have in common is that someone was negligent, and someone else was injured. There are basic tenets. First, negligence must be proven. It is not enough to say someone is negligent. It is necessary to prove that negligence happened and resulted in injury, and the injury caused financial loss. Watch the YouTube video for more on my holistic approach to personal injury law. I want my clients to understand the legal principles I use to win their cases. To do that, I’ve written several books and had a long-standing cable television show called “Ask the Lawyer” that ran for ten years. The second book, The Ultimate California Auto Accident Handbook: Personal Injury Attorney’s Guide to Obtaining a Fair Recovery is also available on Amazon. As the name suggests, this guide talks about what you need to know if you are in an auto accident in California, including “what time limits exist on filing a lawsuit” and “how to recover for past and future earnings loss” among many others. Q: Could You Recommend a Mechanic in Berkeley If My Car Is Damaged in an Accident? Q: Where Can I Find a Good Rental Car Agency in Berkeley? I’m Ed Smith, a car accident and personal injury attorney in Berkeley. I know the toll accidents take on our lives. My investigative team and I use every tool at our disposal to examine the accident from the negligence that caused it to the damages that result. You are welcome to call me at (510) 631-0200 (800) 404-5400. I offer a free case evaluation. I will answer your questions and offer free, friendly advice. If you would like to check out client reviews, please go to Yelp or Google. You can also find additional information at Avvo, an attorney ranking site where I hold a top rating in different categories of personal injury and a client’s choice award. I belong to the California branch of the Million Dollar Advocates Forum. This forum identifies top-ranking trial attorneys who have won multiple cases with verdicts or settlements of more than $1 million. I'm also a member of the nation’s Top One Percent, a National Association of Distinguished Counsel. Many potential clients are interested in visiting my verdicts and settlements page. Here, you’ll learn about the cases I’ve handled, settlements that were reached and the verdicts that were handed down. My website will provide you with information on personal injury cases of all kinds. As the founder of www.autoaccident.com, I feel you will enjoy visiting and learning about personal injury. We have had many visitors since the website began, and the number of both return and new viewers continues to grow.